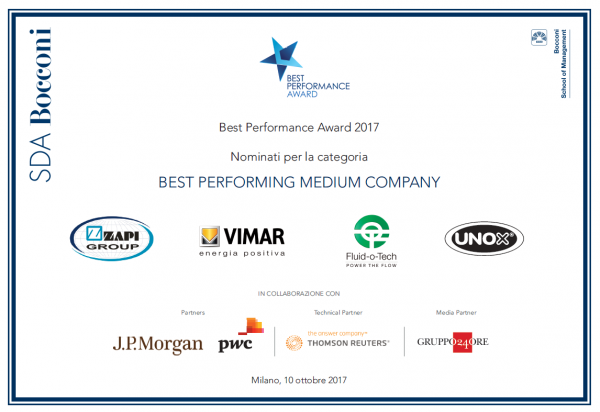 The Best Performance Award is the annual award created by the agreement between the SDA Bocconi School of Management, J.P.Morgan Private Bank, PwC, Thomson Reuters and the Gruppo 24Ore. 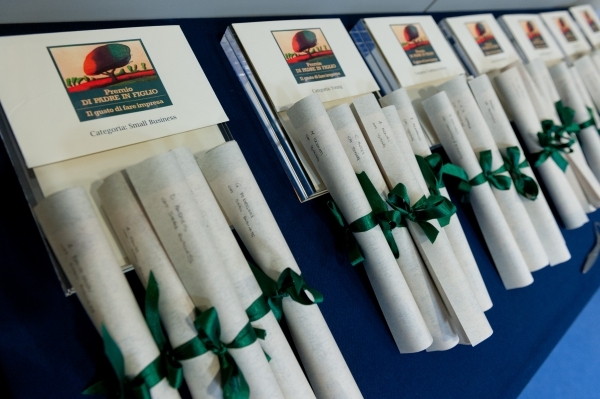 This Award recognizes those company who have maintained consistent growth and strong financial performance, understands its customer and is continually innovating to support future growth demonstrating an outstanding commitment to sustainability. We are delighted to be a finalist in this competition for the medium size category. We are proud to be recognized as an “excellent examples of high performing industrial realities”. Assiteca awarded our practices on Digital Trasformation. We have been selected by the School of Management of Politecnico which assessed our projects of Smart Manufacturing. This recognition acknowledges the success of our activities as part of our Industry 4.0 action plan which allows Fluid-o-Tech to keep its technology leadership higher and stronger. Our President Vittorio Andreis has been awarded as Captain of the Year 2016. 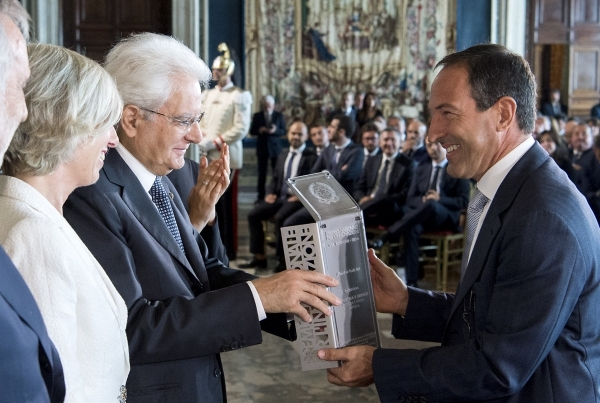 The Captains of the Year Award promotes Italian entrepreneurship and Italian Excellence commending historical entrepreneurship with strong territorial roots that has been able to excel and spread the concept of Made in Italy throughout the world. 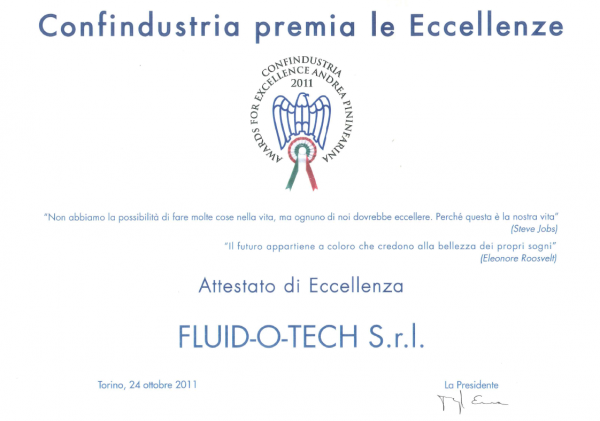 For the second time Fluid-o-Tech receives the National Prize for Innovation “for the continuous development of innovative technologies that let the company to be recognized as a market leader with excellent results systematically better their competitors in terms of growth, profitability and financial strength”. 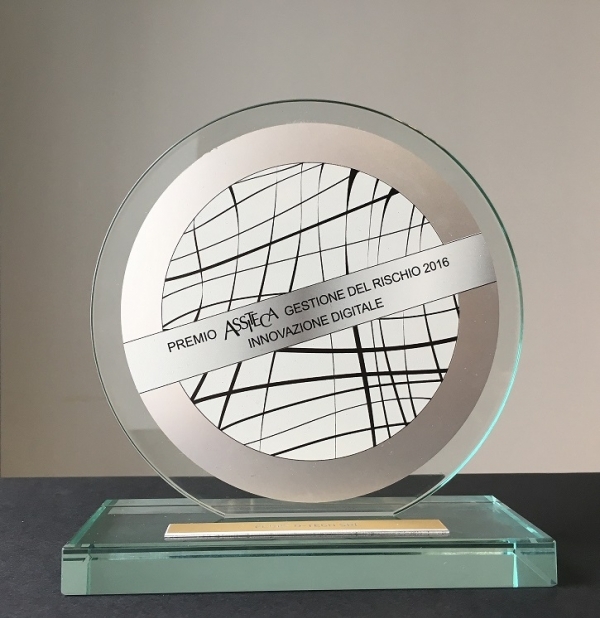 With the YouImpresa award, the Milan Chamber of Commerce tributes companies that are actively committed also when it comes to corporate communication, in their goal of conveying important values such as tradition, innovation and technology. The ceremony has been held at Teatro alla Scala in Milan. 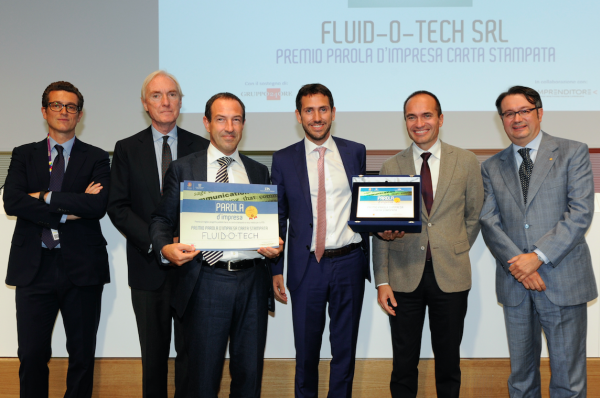 With the brand-new advertising campaign “LET OUR ITALIAN HEART BEAT IN YOUR MACHINE”, Fluid-o- Tech won the first award of the Italian competition “Parola d’Impresa”, organized by Piccola Industria Confindustria and UPA (Associated Advertising Users) with the support of Il Sole 24 Ore to award the best advertising project for SMEs. We are glad to communicate our passion and the importance of our values and identity to the world outside. Fluid-o- Tech felt privileged to receive the award as best pump supplier of 2015 from Manitowoc Foodservice. This recognition is a success for Fluid-o- Tech’s full staff, which is committed every day in satisfying the highest customer’s needs with a value added support. Fluid-o- Tech confirms its status of “Excellent Enterprise” in the Annual Report of the Observatory of SMEs Global Strategy 2015, thanks to growth rates well above average. 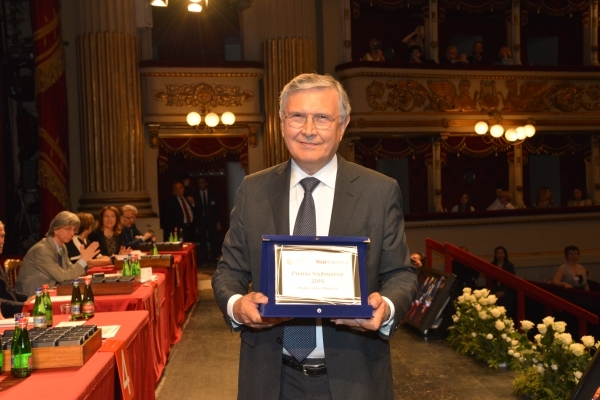 The award was received in Palazzo Mezzanotte in Piazza degli Affari, Milan, during the annual conference. 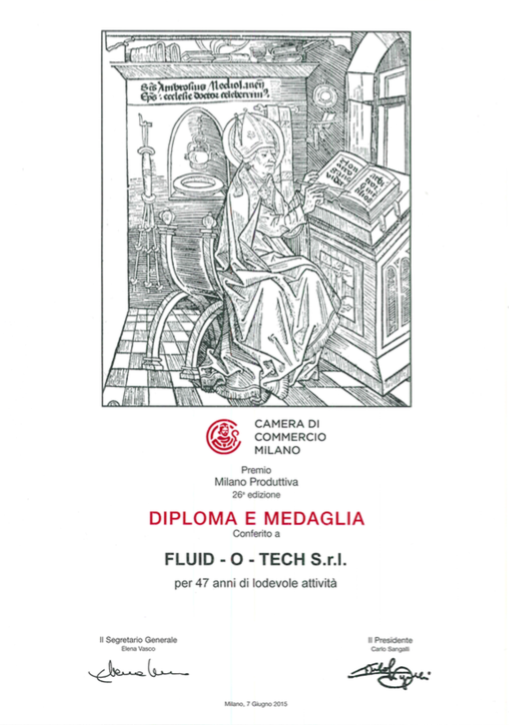 During an official ceremony at the Teatro alla Scala in Milan, Fluid-o- Tech received the Diploma with Gold Medal from the President of the Chamber of Commerce of Milan. 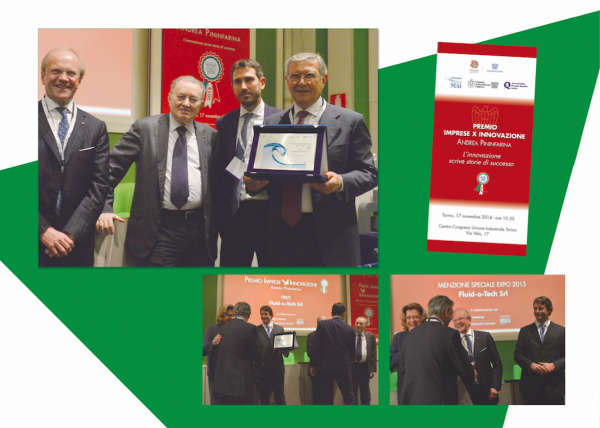 This prize awards Fluid-o- Tech’s business commitment and professional integrity in the economy and society of Milan as a commendable long-term enterprise. 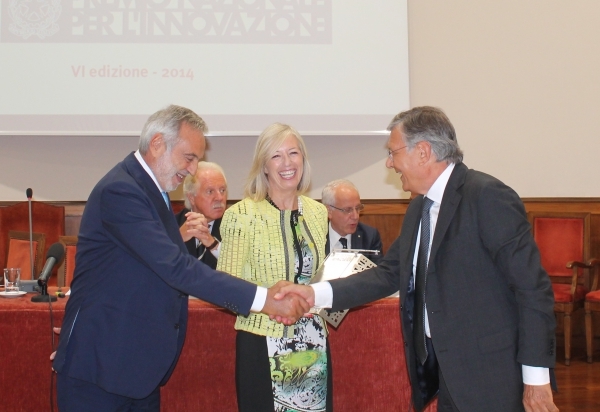 Our President, Mr. Vittorio Andreis, received the National Prize for Innovation from the Minister of Education, University and Research Stefania Giannini. This is a prize sponsored by the Presidency of the Council of Ministers of the Italian Republic to celebrate the best Italian examples of excellence in business. Fluid-o- Tech is honored to receive the national innovation award for having made quality and innovation the key factors to compete globally, thanks to the exploitation of the potential of enterprise network. 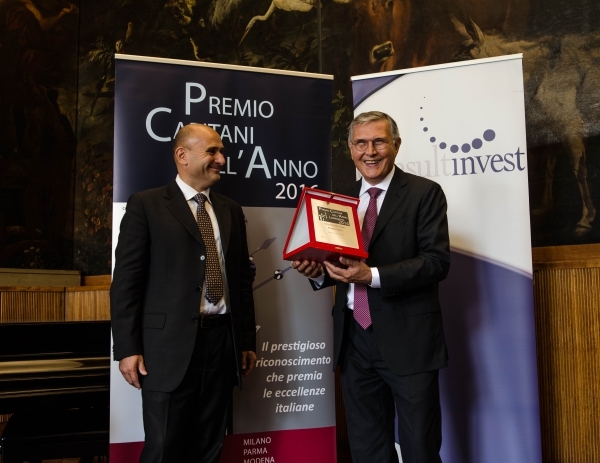 The contest was organised by Confindustria in collaboration with Fondazione Giuseppina Mai, Intesa San Paolo, Medio Credito Italiano, the Industrial Association of Turin and the support of the Association Quality Award Italy (APQI). 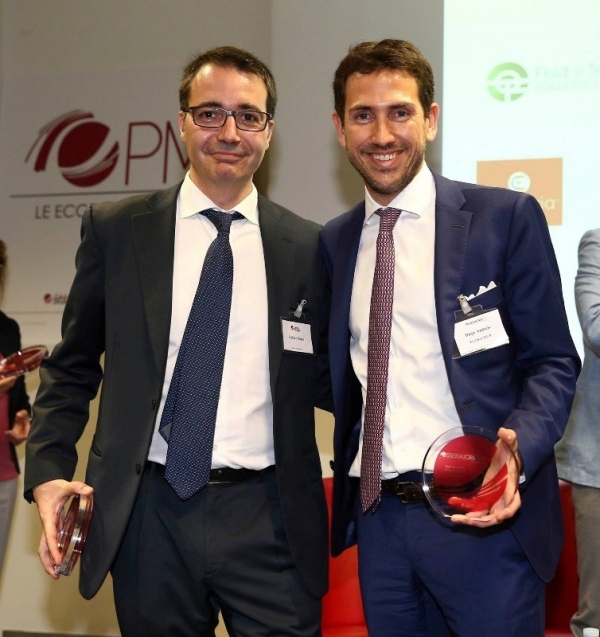 We are pleased to be awarded by the Milan Chamber of Commerce and Unioncamere for our practices in corporate social responsibility, especially for our commitment and positive impact on the environment and stakeholders, including employees, partners, communities and others. 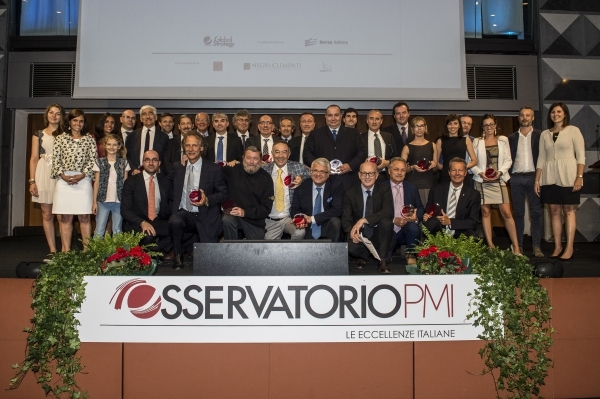 The continuity of the family business and its growth has been recognised by Eidos Partners and Chamber of Commerce of Milan, Monza, Brianza with the contribution of the Italian Stock Exchange, Schroders Private Banking, Deloitte e Negri-Clementi Studio Legale Associato. This award confirms the importance of having strong values. 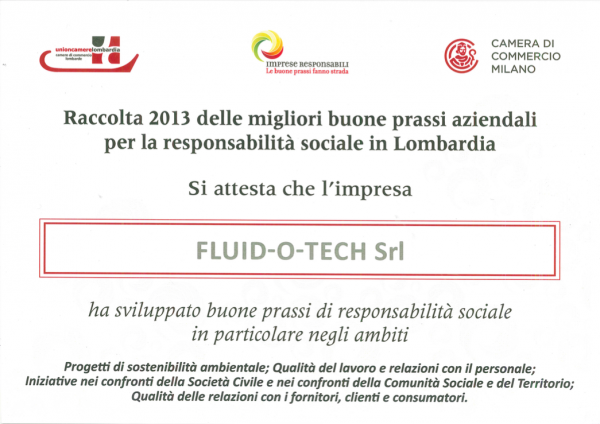 Confindustria tributes Fluid-o-Tech’s status of exceptional business for its outstanding achievements and strong commitment. 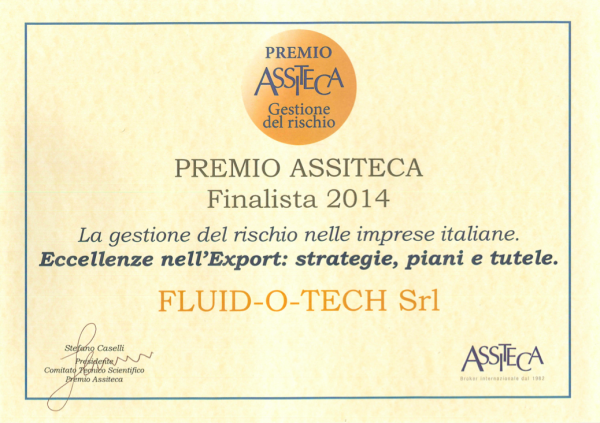 Assiteca awards Fluid-o-Tech among more than 200 Italian medium size companies as an Export Champion thanks to its capabilities to develop a good export strategy with an effective risk management.